These chambray shorts are so versatile! Pair the Back To The Sea shorts with a basic tee and some straw accessories for an essential summer look! 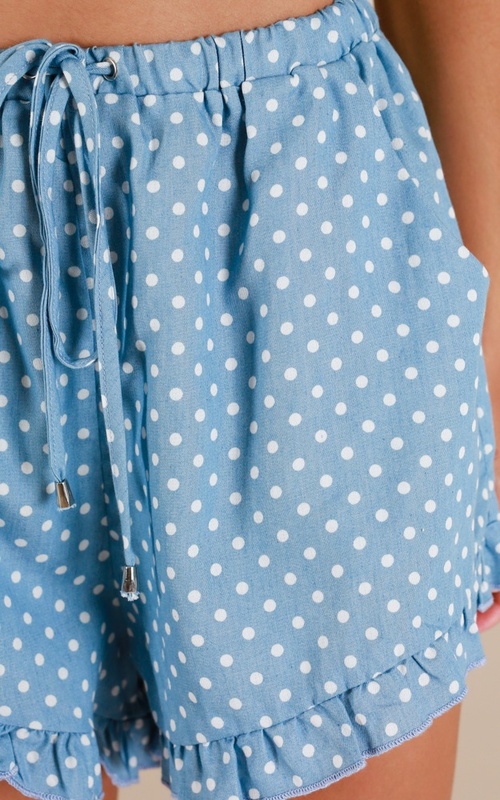 These shorts feature a draw string waist, pockets and an adorable frill trim on the hem. Happy with this purchase! Cute and super comfy! No stretch on actual shorts, however quite loses fitted with generous stretch on waist and decent length.